Reiki is a very powerful form of energy healing in which the work is performed by the Reiki Master by placing their hands in multiple positions on and over the body. This allows for the movement and the flow of Reiki’s unlimited universal energy to flow into the patient through the Reiki practitioner. Reiki is very powerful and at the same time it offers gentle energy that can be easily funnelled to you and to other people as well. Many people experience health problems when the passage and flow of ones life force energy is interrupted, weakened, blocked, or disrupted. Some sort of trauma which may stem from physical or emotional issues, having negative or bad feelings or thoughts, being worried, being angry, being anxious, saying negative things to ones self, having a nutritional issue such as mineral or vitamin depletion, negative relationships and people around you, and many others. Reiki gives wonderful and amazing ever lasting results that allows for the healing of any physical, emotional, spiritual, and mental issues. Reiki helps to form deep relaxation and helps to aid the body in releasing many of its tension and removal of stress. Reiki also helps to accelerate the human bodies abilities to self-heal itself. Blood pressure improves and reduces with Reiki Healing as well as in the aiding of better and deeper sleep. Such ailment like eczema and asthma can also be helped through the healing. If one is suffering from addictions, then Reiki can also help to break these destructive habits. A powerful advantage of Reiki Healing is that it removes the energy blockages in the body, and adjusts the flow of the energy to bring back the body into alignment and balance. The cleaning of poisons and toxins in the body are also removed with Reiki’s Healing energy. As you can see, Reiki has many powerful benefits to mankind that someone can get by experiencing the full advantages of Reiki Healing Energy. Want to learn more and come in for a treatment? Book your next appointment online right now quickly and easily. 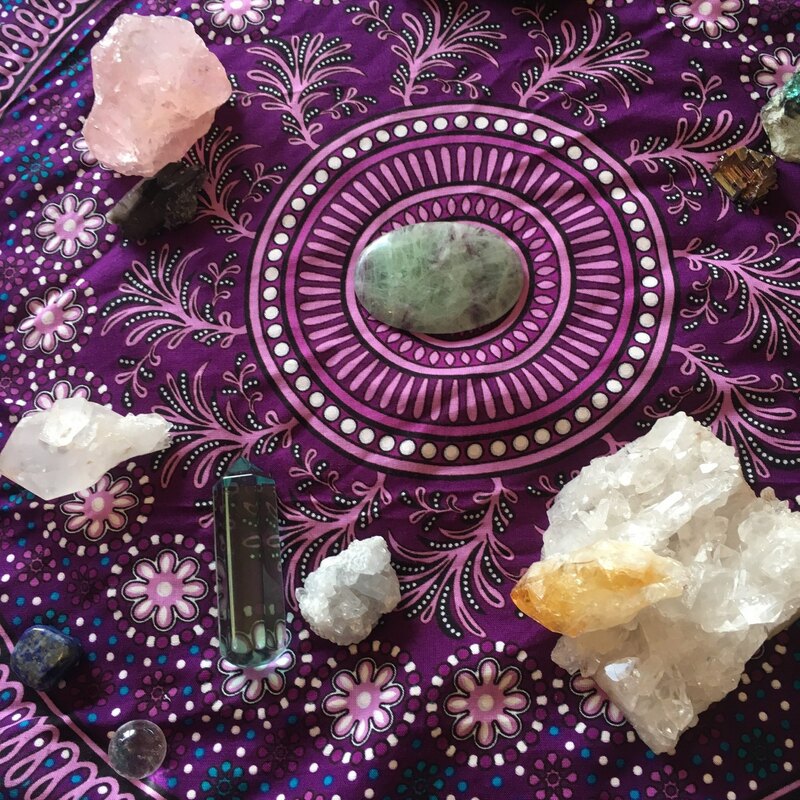 In this post we are going to go over the basics of crystal healing and how it can help you in your day to day life along with Reiki therapy. Crystals help to create balance. So when we hold them or place them on our bodies, they allow us to match them in their vibrations. And if there is any disharmony or imbalance in any aspect of within ourselves, the crystal will then harmonize that. Its quite a heavy stone and metallic by nature. Its very good for grounding and anchoring. It helps for those suffering with insomnia and for those with difficulty trying to sleep. You can place the stone next to your head on the pillow or beside you and even onto the body. This is a great stone to have in your collection in needing to relax, needing to feel more calmer, stillness and quietness. It helps you relax and brings more tranquility to your body. So if you are feeling hyper active, Hematite is great for this. A great place to put it is beneath your feet if you are lying down or under your bed to help you connect with the earth and help ground you in. You can also hold them in your hand, or even hold two where you have one in each hand and then sit in stillness and meditation and let the crystal do its work. Another quiet well known crystal is called Rose Quartz. It’s for the heart, its a pink colour, and the colour of the crystal gives you an indication of what they do and how they work. You can place it on the heart chakra, it helps on an emotional level, giving you more calmness and security. You may be feeling emotional trauma or any kind of negativity on an emotional level. It is also good for any kind of disharmony around relationships and partnerships. It can help smooth conflict and bring calm and clarity on an emotional level. It can also help you to release pain associated with emotional attachments so to create more balance in the heart and emotions and just create more harmony in the heart centre bringing through more love and joy in life. This is another one you will want to have in your collection. Another beautiful crystal which is also associated with the third eye. Placing it on your third eye while lying down really helps to harmonize and balance this area. In the third eye we can hold a lot of clutter, which can accumulate from watching a lot of television or even interacting with others in an outdoor negative environment. So using an amethyst for 5 to 10 minutes can really help you find more balance and clear the fog and creates more clarity and knowing. It looks very outer worldly when you look into it. It is amazing and well known and used, and one you will need in your collection. The clear quartz is an amplifier where it amplifies, so if you were to use two crystals together, you could use the amethyst and the clear quartz together, and the amethyst will amply and strengthen and magnify its potential and healing effect. You can combine it with any crystal, and it also bring clarity, and find the truth in things. As its clear, you can seek to clear up any area and can cleanse things quickly. If you are cluttered in the mind, this crystal is also great for that, especially when you feel you cant think clearly or make decisions or take actions. Its great for manifestation, and also if you have two stones, you can again hold one in each hand, and the crystal will do its work. And be in a place of stillness and open yourself to receive the gifts what the crystal embodies. My name is Jose Leon, and I’m a Reiki practitioner and master teacher and today I’m just gonna talk a little bit about what to expect if you come in and learn Reiki with me in one of my many Reiki Training Classes. I am proud to help my students develop and learn more about themselves and how they can help others by becoming Reiki Practitioners. In this post, I want to discuss how to become a reiki master which is an incredible way to take your previous teachings to a new level. One tip I can give you before you start signing up is to make sure you write out what you want to get from this experience and training as that will provide you insight and goals into your desires for growth. The way my programs are structured is that in level 1 you will learn treatments for yourself at first, that is your first degree Reiki healer, at that point you perform attunement where you learn some of the history of Reiki as well as you learn the hand positions and all that’s involved so that by the end you can go home and you’re good to go to do Reiki on yourself. You can try as much of Reiki on yourself as you can so preferably every day and maybe even pay a bit of attention to what you eat it’s a bit like a detox you know when you start out and you just sort of make sure that the whole body is good to go then. In level 2 is where you start learning how to do treatment on others so you might learn how to see a client if you want to become a practitioner or you just take that away and do at home little treatments for your friends and family. You also will learn how to send Reiki over a distance and how you can help maybe family members who are abroad or friends who are not actually with you. And you also learn a few more of the healing symbols so level 2 is all about getting your hands in there getting lots of practice so you can sense and learn how to use your intuition to place your hands and to really get all of that experience. In level 3 is where we go even deeper and go in and tune into the energy and at that point usually people notice a lot more heat coming from the hands when they do a Reiki treatment. So if you’re interested in learning how to do Reiki and if you’re interested in how I teach, you will want to come down and register for a class, and make sure to contact me if you have any questions. In the universe, there are two things that exist, one of them is matter, and the second one is energy, in which Reiki directly affects energy out of the two. As a form of working with energy, Reiki has the capability to expand beyond most of traditional energy and healing modalities. For many years, many forms of energy work have been put to use. The Chinese for instance have practiced acupuncture from as early as 400 BC, and mind and body techniques have been seen and used in Europe and North America since the 1700’s. And as we all know, that when mentally we feel a lot better, we also physically do too, and a lot of this is because of the fact that this is due to our energy when we are happy and relaxed. Reiki is very powerful because of the fact that it goes beyond the need for intension, but instead gives way the energy completely to the guidance of the universe. It is very important for the Reiki Master to bless the practice as well as cleanse the practice space. Yet the energy itself can’t and won’t deluge the person receiving the treatment. When the energy from Reiki starts to travel from the practitioners hands to the patient, it’s now up to the patient to receive that energy and open themselves up to this great potential to allow the energy to flow and do what it needs to do in order for the person receiving to continually aim for growth. Reiki itself is a very intelligent energy and will certainly interact with other areas of the person that requires an extra push of life’s healing force. It has been shown to be very effective in today’s world. Hospitals for example have also begun to implement Reiki practitioners into their medical system. Intentional energy healing has continued to be very effective. As its a very flexible healing practice, Reiki is able to be a wonderful supplement to traditional medicine as it has been proven that Reiki has no side effects. Reiki is truly a universal energy that wilfully flows in and throughout you, with a pure and true intention to help heal you in all the many different ways that you need. Had a long, chaotic day at work? How do you feel right now? Mentally exhausted? Bet you wish you could go on a long vacation right now, or that it was Friday evening, not Tuesday night. Well, the human body is not meant for continuous work. Perhaps you will find the tips given here on how to relax after a long day at work useful. Read on! If you’ve had a particularly tiring day at work, nothing would relax you more than to wash it off – the stress, the arguments, the tension – as soon as you’re home. It is said that water has a relaxing effect on the body, mind, and soul. Take a long, relaxing shower, ensure that the water is of the right temperature, wear your most comfortable pair of clothes, hit the couch and watch your favourite show on TV. After 8 hours of sitting at the desk in the office, you may want to get your body moving and engage your pent up energy. Intense physical activity is just what you need. So, hit the gym! Spend around 10 minutes on the treadmill first, that would warm you up for the resistance training exercises to follow. Lift weights; exercise all the main muscle groups –back, shoulders, legs, arms, and the core. Or just go for a quick 30-minute run around the neighbourhood – that would clear up the mind as well. The last thing you need is for the phone to ring when you’re home. You don’t want to bring work home, so turn off the phone. Make it clear to your coworkers not to call you up with work related issues after office hours. You’ve worked hard enough at the office, and now you deserve a time-off from all the work. After-office hours are to be spent with your family and friends. So make the most of it, turn off the phone as soon as you’re home. Detach yourself completely from work. After you’ve had a particularly tough day at work, you’re probably short on energy and need to satiate your hunger. So indulge yourself with something sumptuous and tasty. What’s your favourite food? Is it ice cream? Have a scoop or two, till you’re completely satisfied. How about dark chocolate? It makes for a perfect cheat food, even when you’re on a diet. Replenish your calorie supply with a hearty meal. You need foods that give you energy, so have plenty of healthy carbs. Nothing would relax you more than a quiet evening with your partner, a long chat on Skype with your sister or parents, or helping out your kids with their homework. Indeed, if you’ve got kids, you should consider yourself lucky because kids are the greatest stress-busters. But never talk to your family about work – just don’t bring work home. Nobody would like that. The value of a good book is often underrated. Pick up an old classic on your Kindle, something you’d read a long while back, which you’d completely forgotten about. Or pick up the latest bestseller from a popular author. If you’re not a big reader, that’s okay, you can just catch up on your favourite TV show, or watch a great movie on Netflix. Music can be deeply relaxing. Just go to your room, tune in to your iPod and play something soothing, such as classical music. It is best to stay away from rock music or Hip Hop as that would only serve to aggravate you further. You want to listen to music that relaxes you, not loud music that plays on your nerves. New to Reiki for spiritual or vibrational healing? 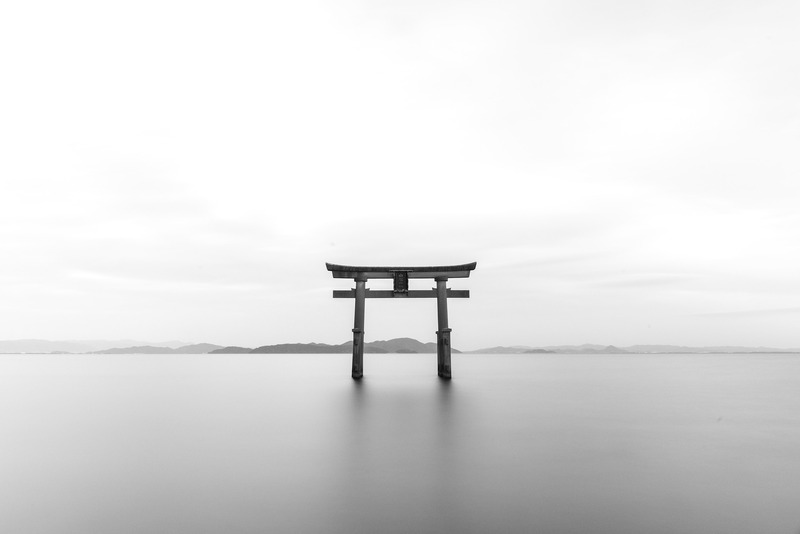 In this blog post, we’ll introduce you to the ancient practice of Reiki, as well as just some of the ways that it can be beneficial for mind, body, and soul. Reiki is an ancient Japanese practice. The name derives from two Japanese words; “rei”,which means “universal life”, and “ki”, which is commonly translated as “energy”. Reiki is not based upon any specific religion but is founded on the belief that we have all have invisible “life force” that runs within us. When this energy is running low, this is when we are likely to feel sick, tired, or just… not ourselves. When it is high, this is when we are at our most healthy, vibrant and creative. Reiki helps to restore the flow of energy through the body in a physical and tactile way – the practioner lays his or her hands on the patient and, and in this way channels life force through touch. In this way, it raises our energetic “vibration”. This method promotes the body’s own healing processes, and effectively creates an overall sense of wellbeing. A Reiki session aims to promote healing on both a mental and physical level. As a form of therapy, it’s known to reduce stress and help to ease pain in the body. While Reiki is not necessarily a cure for illnesses, it is more designed to promote feelings of wellness in the body and soul. It can be used in combination with a number of other treatments and medicines. Comfort during difficult times – Reiki can ease the spirit when you are experiencing troubles in your life. 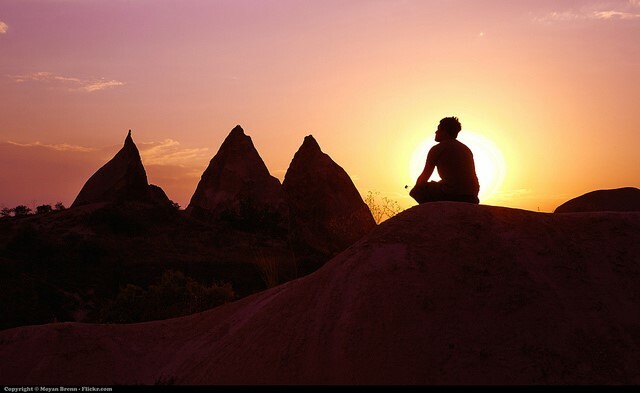 Feelings of being overwhelmed or unable to cope can be distressing and isolating, and the practice of Reiki can bring about feelings of peace and serenity. Supportive during pregnancy – Reiki can help to calm and reassure women at any stage of their pregnancy. It can help her to relax and find serenity during a potentially worrisome time. Stress and anxiety – Reiki can be used effectively to combat the symptoms of excess stress and anxiety by calming down the patient and promoting relaxation. A Reiki session typically lasts between 60 and 90 minutes. It will begin with an informal discussion, which is your opportunity to discuss your particular ailment or concern with your practitioner. This will help them to tailor your Reiki session. You will then be invited to sit back, fully-clothed, in a comfortable chair in order for your Reiki session to begin. Sometimes the practitioner will lay their hands upon your body in certain places, and sometimes they will hover their hands above your body to promote healing. Want to know more about the healing power of Reiki, and how it might benefit you in your life? Take a look at our Reiki sessions page for more information. You do your best to look after yourself. You might practise yoga, treat yourself to massages or try to meditate when you get the time. But, still: whenever you find yourself coping with a lot of things at once, your heartbeat rises and your palms clam up. You find it impossible to relax. We can’t always call the massage therapist whenever we feel a bit of pressure, so what’s the solution? Self-massage is a great way to calm down and give your body what it needs. Investing just a couple of moments in your own wellness can have a revolutionary effect on both body and mind. Here are 3 easy self-massage techniques to try when everything gets a little too much. Begin by taking a bridge pose, with your sacrum supported. Breathe through your nose, and put both hands on your stomach. Start the massage in the lower left corner of your belly, using your fingers to apply light but firm pressure in circular movements. Continue across the abdomen to the right-hand side. Once there, move up the right side until you reach the ribcage, and move slowly across to the left, using the same movements. Repeat as many times as you like. Note any areas of prominent soreness or tightness. Working at a desk all day can lead to bad posture in the neck and shoulder area. This is also where we store a lot of our tension. As a result, this area can often feel tight, tired and achy. This simple neck and shoulder massage is highly effective, and can be done anywhere, from your desk to the sun lounger. With your head tilted back, use your fingers to squeeze and release the muscles at the base of the neck and on either shoulder. Roll your head backwards and forwards, and from side to side. This will help to shorten the muscle. As you do so, push the fingers into the neck in a downwards direction. Make firm circles on the back of the neck, working towards the base of the head. Place one ankle across your knee so that you can easily access the foot. Press your foot between your hands, and rub your hands back and forth in order to completely warm and relax the foot. With your fingers, extend and contract each toe. This will help to increase flexibility. Massage the balls of the feet with firm fingers and circular movements. Next time you feel the stress rise up, simple try one of these self-massages and allow a sense of calm and serenity to take its place. In our modern world of technological distractions, world climate change, and constant fear-inducing rhetoric on the media, it’s not hard to believe that these days have the most stressed generations in history. But what can you do to alleviate this stress and transform yourself into a more positive, stress-free you? The energy received through Reiki healing is just one of the solutions and steps to a wholesome and stress-free life. After identifying the need to decrease stress in your life, Mindbodygreen maintains that it is important you act upon it. Here are the key actions you can take to reduce stress and get your life closer to the one you imagine. Finding a wholesome, balanced, and feel-good diet. Our bodies are our most precious possessions and treating them with respect and care are key to a healthy and balanced life. Not only is it important to think of how harmful food is to your physical body (weight, cholesterol, etc. ), but you also need to think about how certain foods affect your mood and stress levels. There are several foods that produce certain chemicals in our brains that can make us happier and calmer, such as dopamine, a pleasure-inducing chemical. Leafy greens are a prime example of such foods that according to Health.com has been proven in middle-aged and elderly who consume more greens to provide a “lower risk of depression symptoms than those who took the least”. Anyone whose had a big Thanksgiving dinner won’t be surprised either to hear that turkey breast is another food item that is great for relaxation and stress-relief. This is because turkey helps to produce the serotonin chemical, which promotes happy feeling and well-being. This is why after a big turkey dinner we can sometimes feel sleepy and content, because we are being flooded with calming chemicals. Other great foods for stress relief are oatmeal, salmon, blueberries, pistachios, dark chocolate, and milk. The next key to a diet that won’t just make you feel good physically but also mentally is organic fresh produce. It’s commonly known that organic food generally contains higher levels of important nutrients that keep us feeling good and healthy. A lot of these nutrients are key to keeping our bodies feeling good and leaving us feeling good too. Organic food also contains a lot less artificial chemicals, like pesticides and preservatives that can strip produce of the nutrition and keep us from those good chemicals that keep us feeling good. Learning to check food labels will go a long way in helping you understand what you eat and what impact your food has on your health. 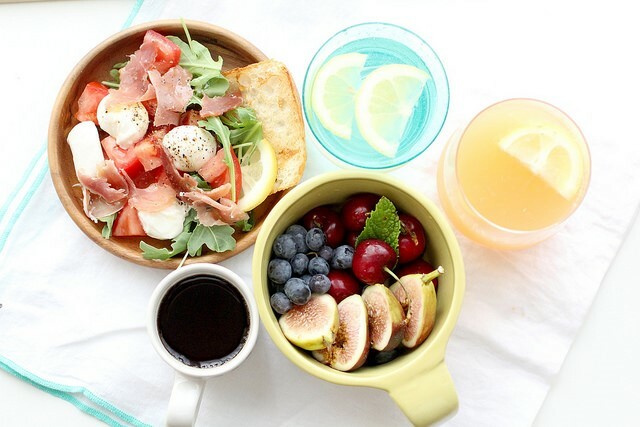 In all, finding the right diet for you is the key to success. Radical diets of any kind or changes in the way we go about our shopping and eating habits can be quite disorienting and might be hard to stick to after a while. WebMD stresses finding a diet that matches your lifestyle and focusing more on creating a healthy living plan around your current routine. Don’t think you can cut out half the calories you eat and completely change the kinds of foods you eat in one day. Find what you’re comfortable and work up to it by choosing healthier or organic options and include an exercise plan into your program. Establishing a routine of exercise and high intensity workouts. 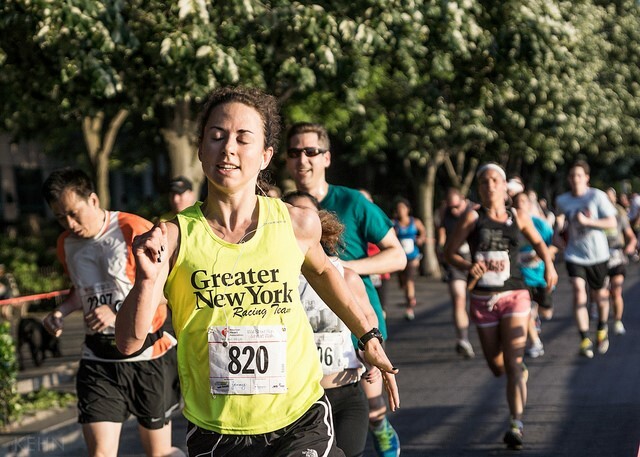 Exercise is a commonly known solution to stress and many even credit the reason they became dependent on sports or athletics on their need to alleviate their stress levels. There’s been evidence for a long time that there’s a correlation between regular exercise and increase in self-esteem, improved sleep, and stabilized moods. But what exactly does exercise do for our brains? Which workouts play more to reduced levels of stress? And what else can you do beyond the average exercise routine? It’s said that exercise in any form produces hormones in the brain that improve cognitive function, mood, and understanding. This is really important because stressful feelings affect things like memory and rational thinking in the brain, which you may have seen in action one jam packed day when everything seemed to go wrong, like forgetting your keys or accidentally running a red light. So when we’re running or doing aerobic exercises, our brain is reversing this affect by producing these hormones that can help us combat irrational or forgetful thought processes. The most effective way of getting this feeling is through intense cardio, like running, bike riding, or dancing. These three in particular promote a feeling of happiness, and it’s been proven that people right after this kind of exercise feel lower rates of “depression, tension, and anxiety” according to Huffington Post. There’s also been a lot of research into why people tend to feel less symptoms of anxiety and stress after boxing or other physically intensive sports. Although we all know that punching something feels good, what exactly is it doing to make us feel that way? The most common explanation for this is that the puncher is imagining the bag as the person or thing that’s producing stressful feelings in their life, and the act of physically beating that image is therapeutic. But just like any exercise, physically intensive sports are great producers of endorphins and adrenaline which leave you feeling good after your workout and energized to take on other things. The added benefit of punching, is that it requires a lot of focus and concentration, which can direct your attention towards something other than your stressor and calm your nerves in general. In order to get the most out of your exercise plan, make sure to keep it diverse and include lots of high intensity cardio intervals throughout your routine. Try taking different classes at your local gym or community center, once a month maybe, to also see if there are certain sports that push you the most and make you feel the best after trying them. Whatever your plan, make sure that it not only makes you feel good after, but you also have fun doing it. Soon enough you’ll find not only that your body is healthy, but your mind is too. Maintaining an arena for reflection and visualization. Meditation, yoga, and Pilates are some of the biggest and most popular solutions to stress in all walks of life. The concept here is that giving people spaces to relax their bodies and free up their mental space will allow them to reach new heights of happiness and mental wellness. Beyond these strategies, however, exercising your mind in the right way can help you overcome some of the causes of stressful feelings. In sports we use visualization to create muscle memory, a trick that tricks our minds and bodies to perform complicated actions and movements as a natural instinct. Major James Nesmeth is one of the world’s best stories of visualization and the power of the mind to control one’s body. Major Nesmeth was a prisoner of war in North Vietnam where he spent seven whole years of his life. He came into the prison as an average golf player by hobby, and with nothing else to do in solitary confinement, he made a commitment to use his time well. Every day for seven years he played 18 holes of golf completely in his own imagination. He imagined his swing as he stood at the top of the pitch. He imagined the smell of nature around him as he walked the course. He even imagined the feel of the club in his hands as he hit that last put into the hole. When he returned home after those seven years, he and his friends were astounded to find that he improved drastically in his game. No longer average, he could probably compete with some of the best amateur athletes out there. By simply visualizing his goal and imagining every step he had to do to get there, his body had trained itself to mimic what his mind was trying to do every day. This concept doesn’t only have to apply to sports, however. When we have a goal in mind, whether it’s to improve one’s body, to succeed in your career, or simply to get through the monstrous to-do list we’ve accumulated, the secret to success is reflection and visualization. Giving ourselves the time and space – or arena as we call it – to explore one’s internal state and visualize where we want our physical selves to be at the end of our goals, we can achieve a state of wellness and happiness like never seen before. 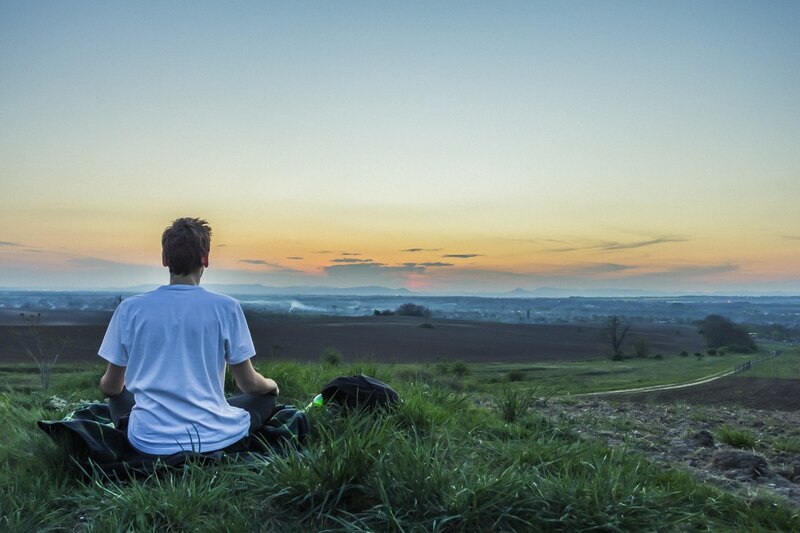 Focusing on positive mindfulness and find environments that promote happiness. Associate professor at the Harvard School of Public Health, Laura Kubzansky, says that positive thinking has mysterious powers when it comes to leading people to a healthier and happier life. She even noticed in her research that such positive thinking can even lead to a lower risk of heart disease in some cases. 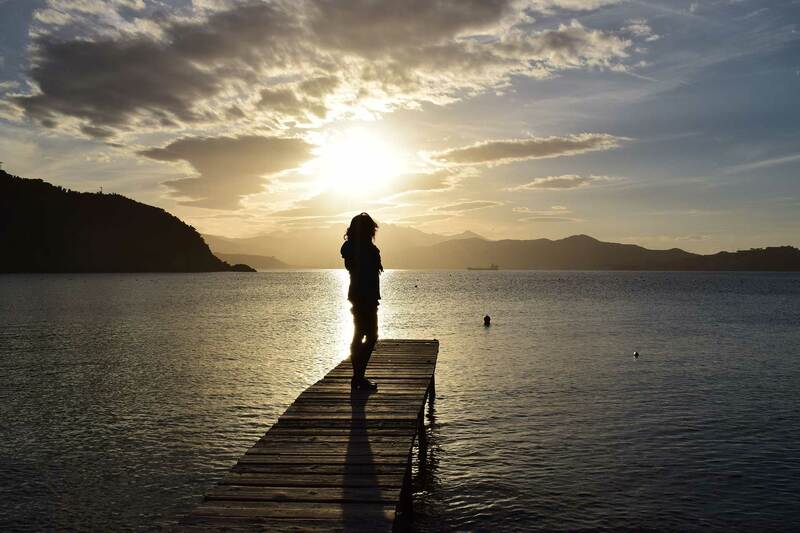 As About Health states, positive thinking psychology is about taking on life with a consistent positive outlook, despite the situations that perhaps push one to negative thoughts, anger, or sadness. It goes much beyond just simply changing the way you think, but also pushing yourself to think about each perceived speed bump in life as an opportunity instead of your downfall. There is even a strong link between where you live and your overall level of happiness. In countries with more socialized and individualized cultures, people tend to be happier as backed up by multiple studies. The study at the forefront is the World Happiness Report, which every year delivers a list of countries around the world ranked on a scale of happiest to least happy. Countries over the years that have held positions at the top are Denmark, Switzerland, Iceland, Norway, and Canada. Again the obvious connection of these countries are their socialized politics. A huge indicator in this particular study, however, focuses on purchasing power of citizens, generosity according to charity participation, freedom of choice, life expectancy, and external social support. This is all then measured on positive affect dependent on laughter, happiness, and enjoyment compared to the day before (with a negative equivalent measurement). All this research proves that the atmospheres that provide emotional support and encourage positive outlooks lead to not only less stressful thinking, but also general happiness. We can see then how environments that have less things to stress about – medical insurance, student loans, corruption, or military presence – can tend to have more room for a positive outlook on life. And although we know there are stressors no matter where you live, we can see through the research that having more control over what stressors interrupt your life can go a long way in making you feel happier and healthier. As we like to say, by alleviating stressors and negativity in our lives we open ourselves up to things that we consider are aspects of a “whole” life. Rejecting these bad feelings through taking care of our bodies, pushing our bodies to be our best selves, giving ourselves time for reflection, and finding environments that promote positivity we begin on a path towards love, happiness, and wellness. Reiki is a Japanese, holistic, energy-based, hands on healing modality. Reiki works to balance the normal flow of chi (life force energy) throughout the body to enhance and accelerate the body’s innate ability to heal. We have all had experiences; the world does not discriminate what events one will have to persevere through. Global fear, addictions, natural disasters, betrayal, loss of a loved one, projected judgement, self-hatred, to name but a few. All affect your energy field and one’s sense of safety and joy. In my practice, so many clients have their exercise and diet regimes perfected, yet few are aware of how much of their emotional, mental and spiritual energies/bodies are out of balance are affecting their immune system. Because we have physical, emotional, energetic bodies; internal and environmental factors affect us. We are starting to understand that all aspects of ourselves cannot maintain optimal vitality and health without the other’s support or well-being. I do feel the world is getting a stronger understanding of healthier living awareness: organic and gluten free food, non GMO products, meditation, energy based modules mainstream modalities, Pilates, yoga, positive mindfulness, all leading to more balance. This is the natural evolution of our souls and humanity to change for for the better. In today’s world, “I am too busy.. there’s not enough time“, is simply a modern justification to neglect self-care, and to perpetuate an-unhealthy lifestyle or way thinking. Reiki will support your life in so many respects. It is a modality that will compliment your busy lifestyle. It is easy to learn, easy to use and does not need any previous experience. Learn this wonderful module of Reiki. Reiki will help you clear the anxiety, sadness, anger and shame; the restlessness from your body and the constant chatter in your mind. Reiki will allow you to feel calm, grounded and more positive, allowing you to be in the most optimal place to make the best decisions in the moment that serves your highest good. It will be in this “absence of stress” that clarity, love, forgiveness, healing and movement in your life will manifest and be truly nurtured. Jose Leon is a trained master teacher of the Usui / Holy Fire of Reiki, a workshop facilitator and a graduate of the West Coast College of Massage Therapy. He has maintained a successful private practice in Vancouver, BC, since 2000. 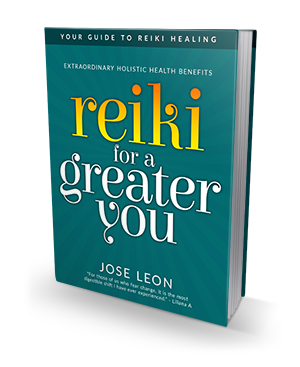 Subscribe to our newsletter to receive our latest updates, plus get our free ebook "Reiki For A Greater You" as our gift to you.